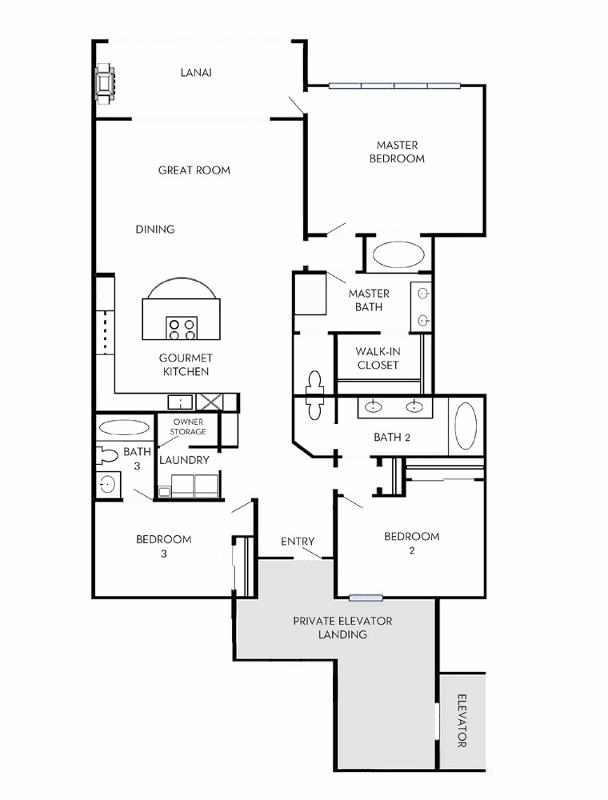 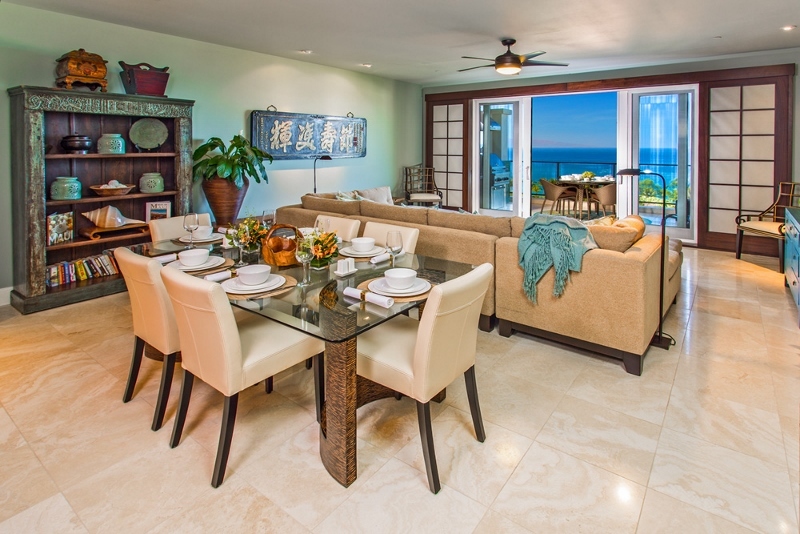 Orient Pacific J505 – Luxury Vacation Homes, Inc.
Orient Pacific Suite, also known as J505, is on the 5th top floor in a prime location in the “Penthouse/Tower Building”, where panoramic views are guaranteed! 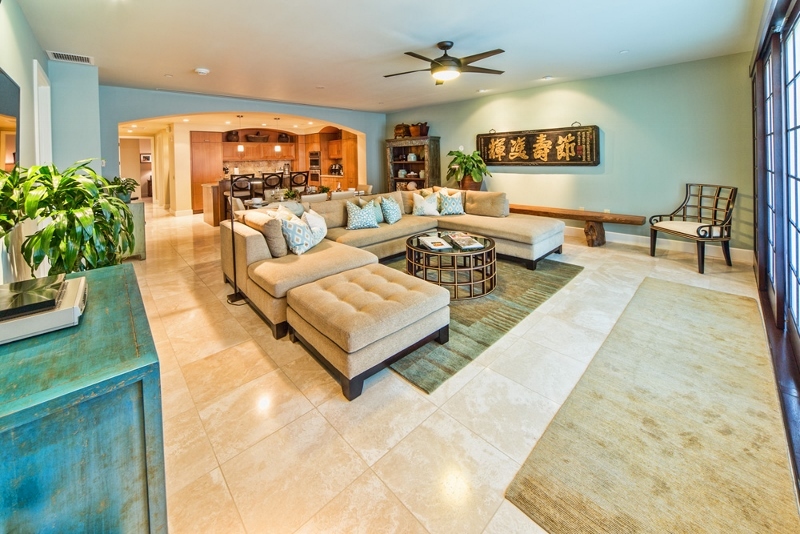 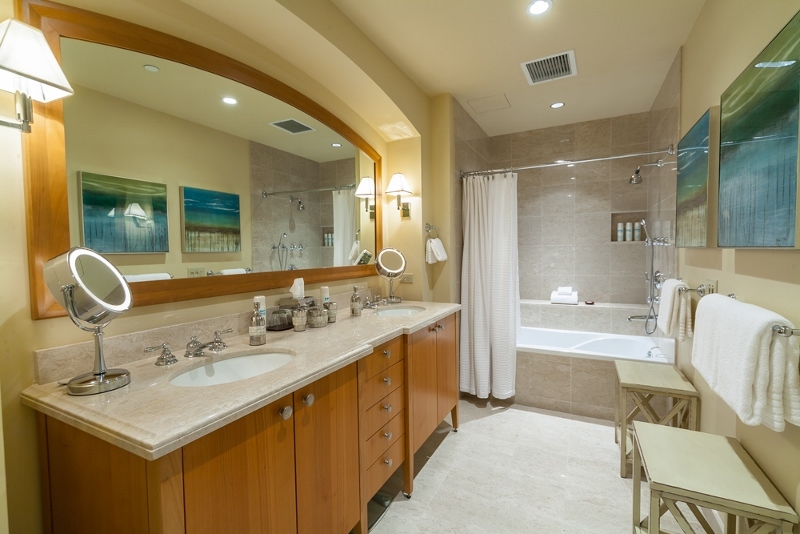 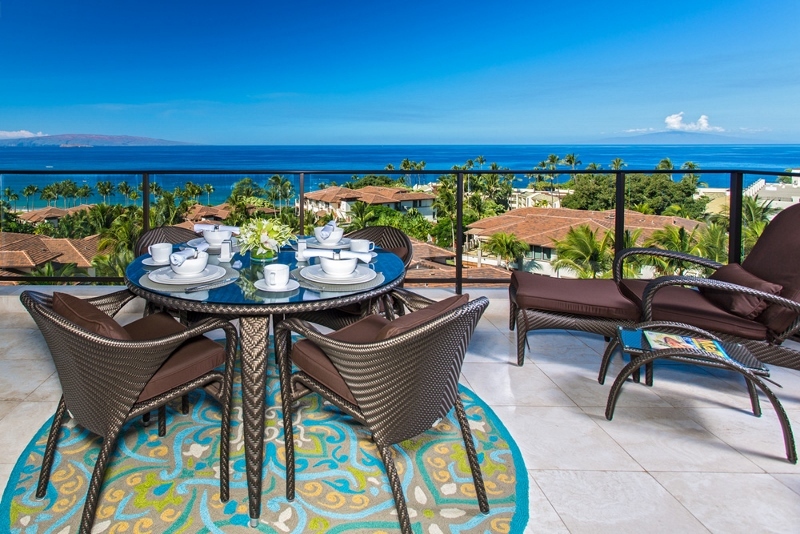 J505 is just uphill from Wailea Beach and the adult swimming pool & hot tub spa. 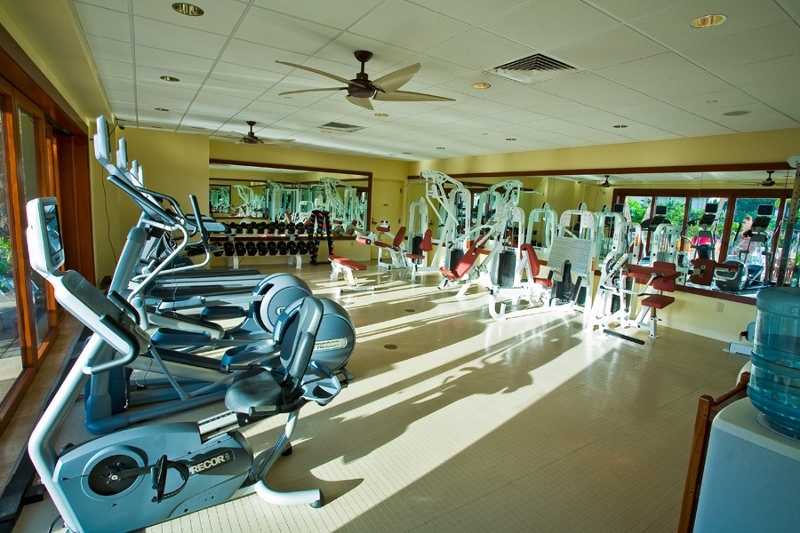 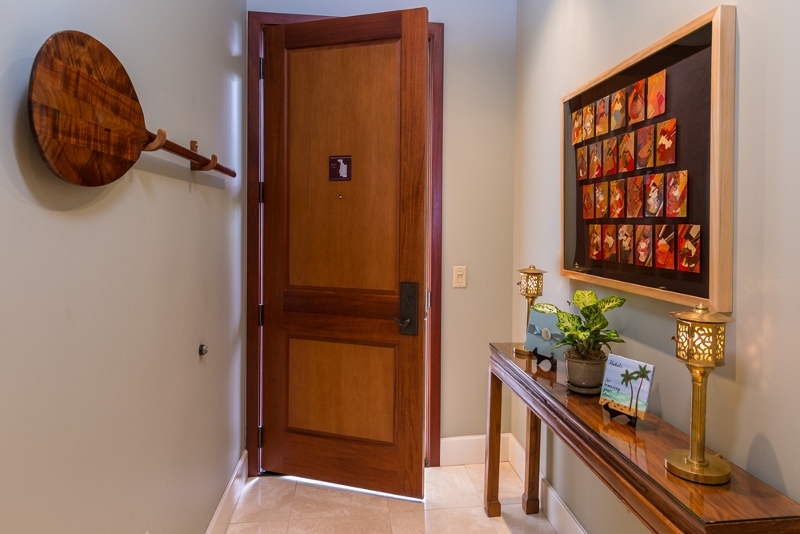 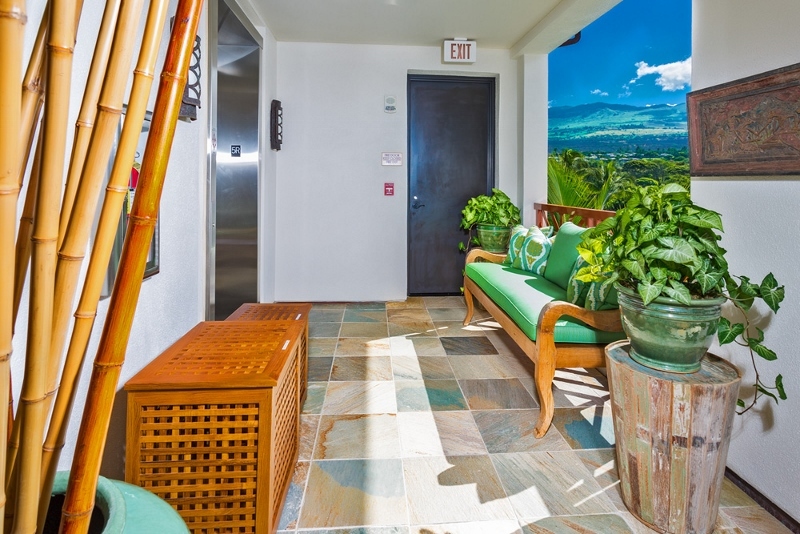 It is also just a quick elevator ride down from J505 to the family pool & hot tub spa, fitness center gym, and Shops at Wailea. 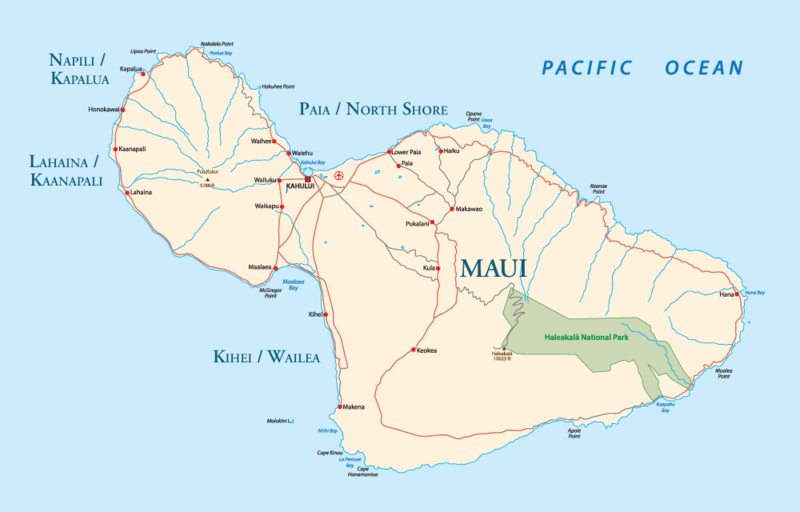 There is no need to rent a car. 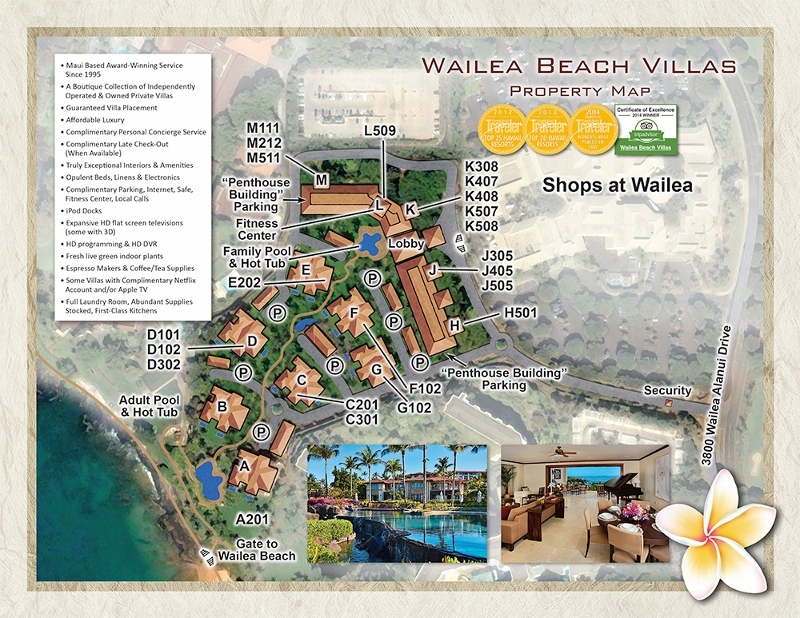 Walk to everything, including fine dining, shopping, spas, salons, and all types of ocean recreation and pampering. 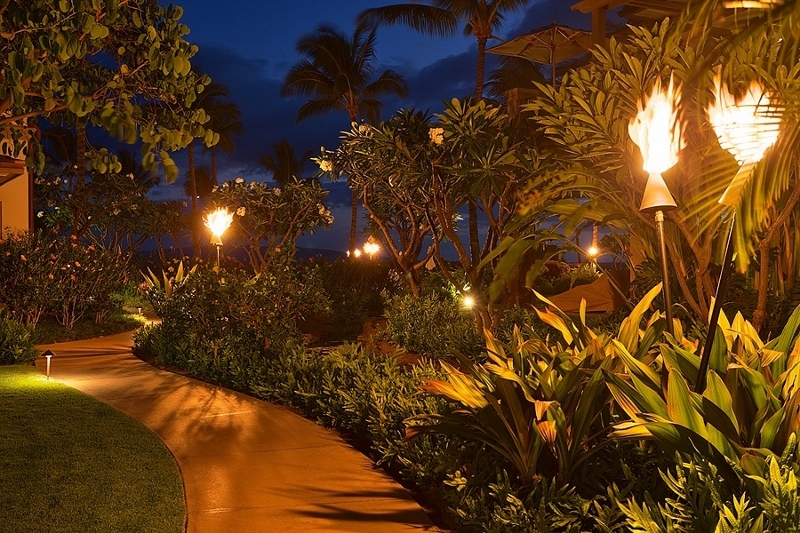 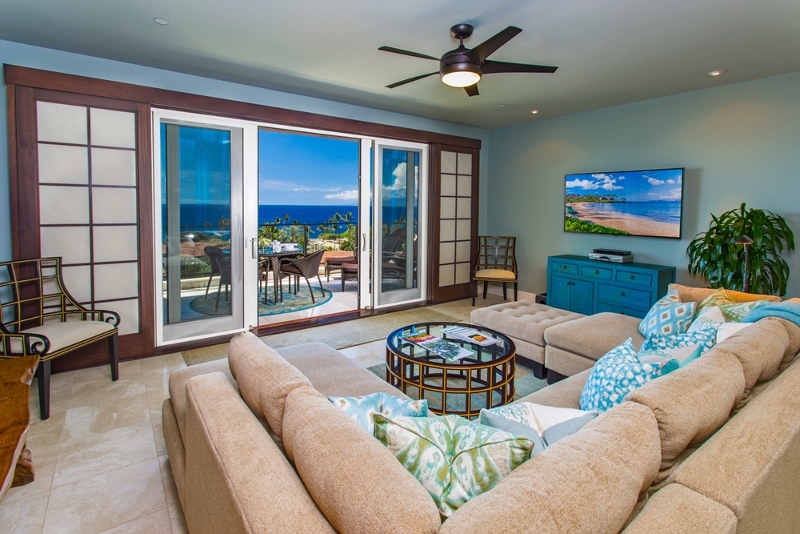 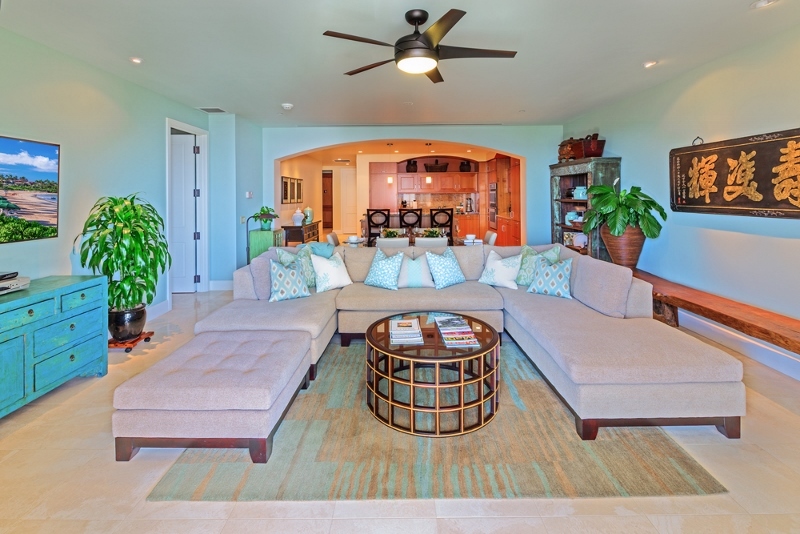 We created J505 to rival the elegant but subdued ambiance of the Club Floor Lounge of the nearby Four Seasons Wailea. 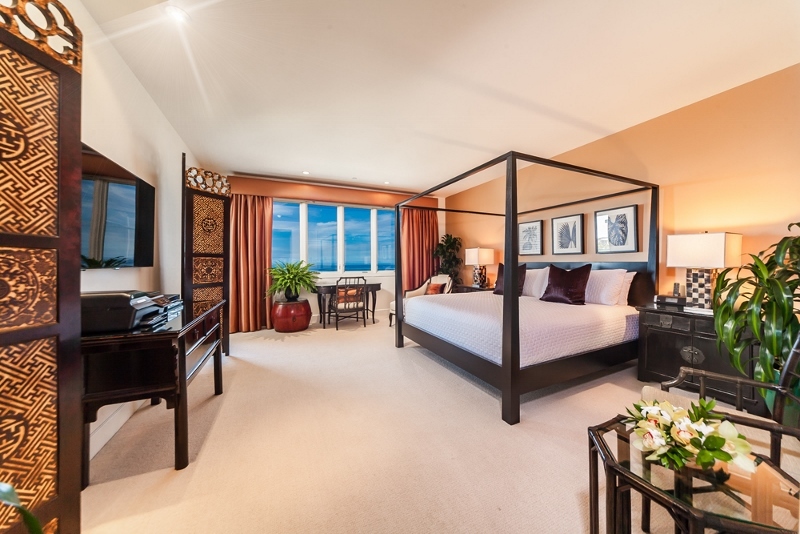 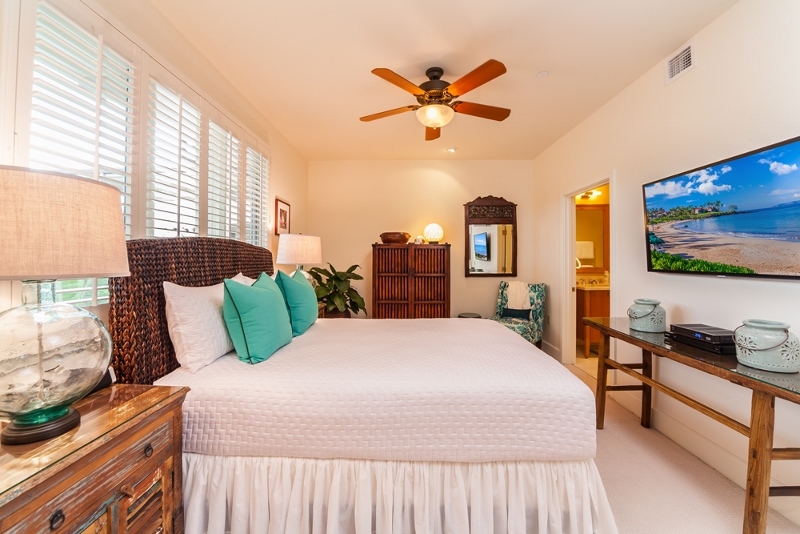 The name Orient Pacific Suite appropriately describes the exotic but tasteful mix of tropical and Asian influences in this top floor penthouse 3 bedroom suite. 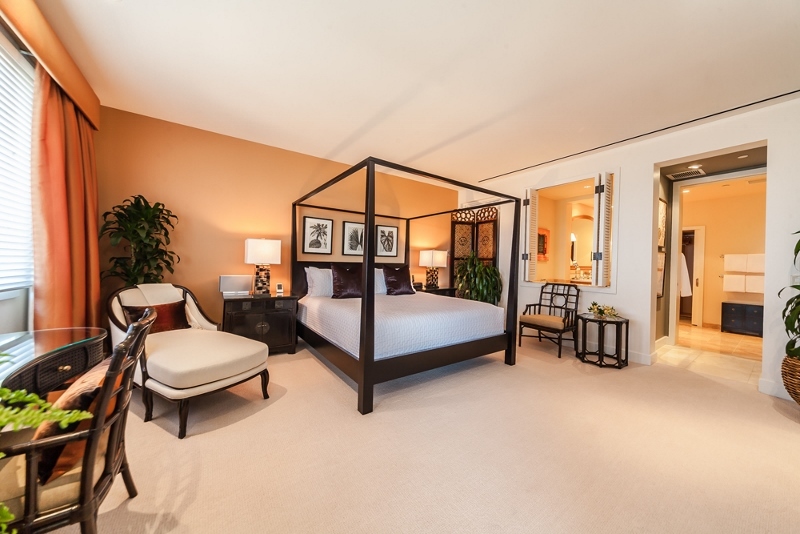 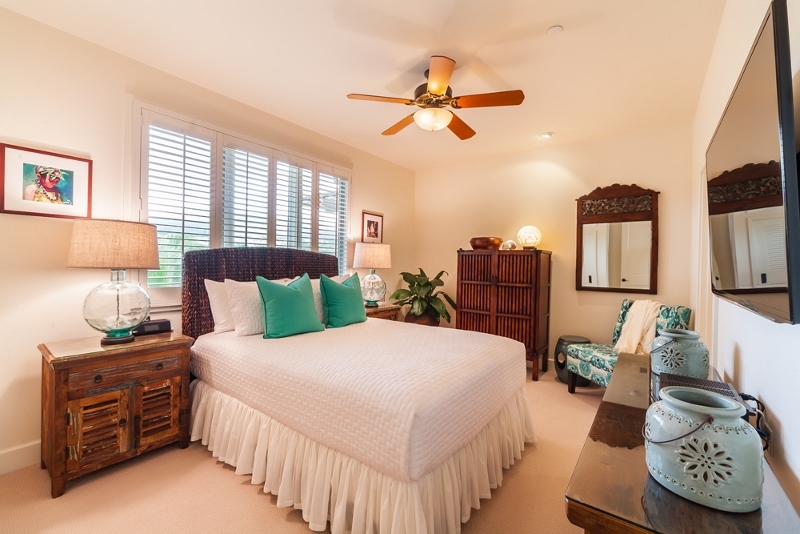 Orient Pacific Suite J505 is decorated with luxurious hand-crafted and imported area rugs, custom painted walls, original art, local artifacts, hand-made crafts, and rare imported Asian antiques. 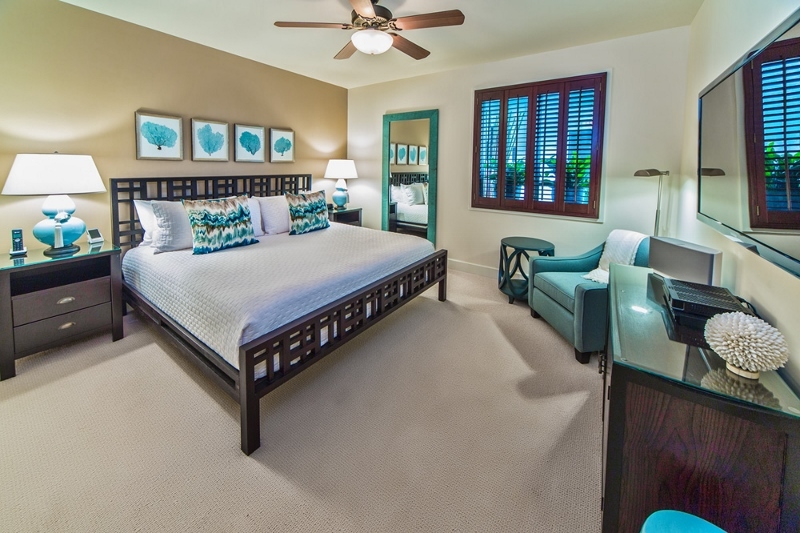 The decor is rich with warm seaside tones of sea glass blue and green, deep mahogany, cappuccino, champagne, gold, and in the master suite are orange, brick, gold and other warm colors that match the brilliance of Maui’s famous sunsets, a spectacle that is clearly visible from the ocean master bedroom suite and from the great room of J505. 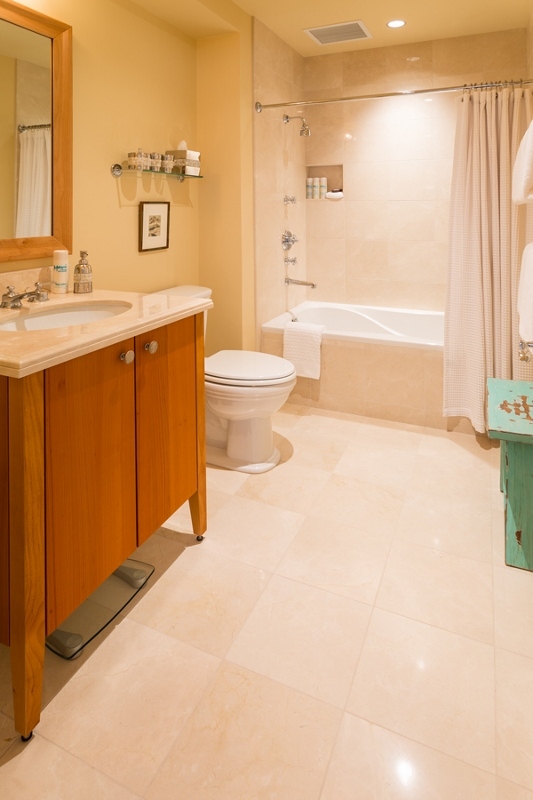 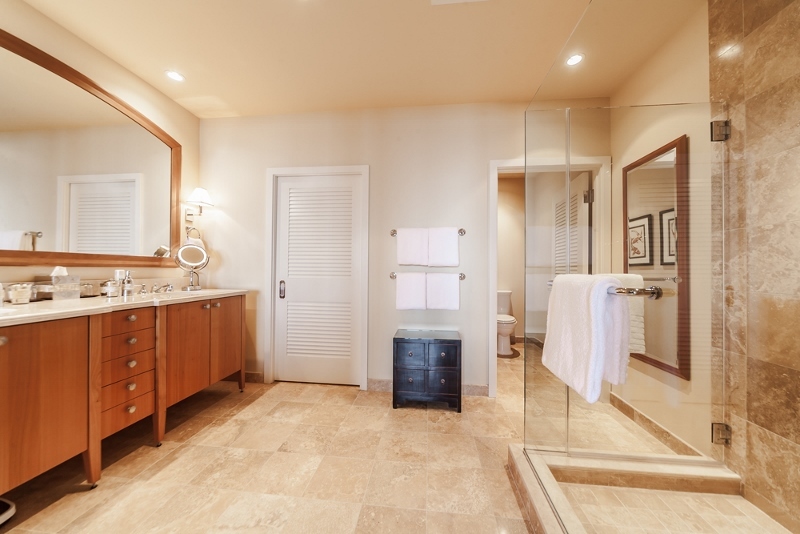 The travertine floors are enhanced by rare imported hand-knotted wool carpets. 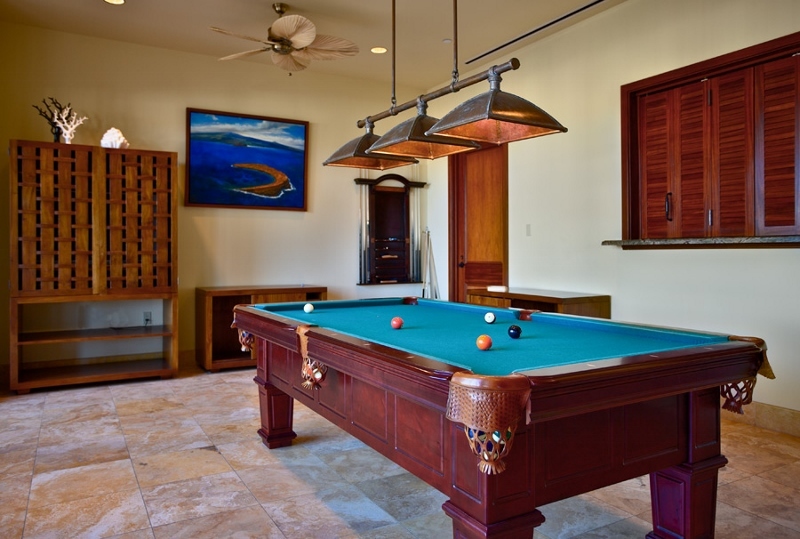 The furnishings are all exceptional custom crafted and imported pieces that blend tropical and asian stylings together in a aesthetically pleasing manner. 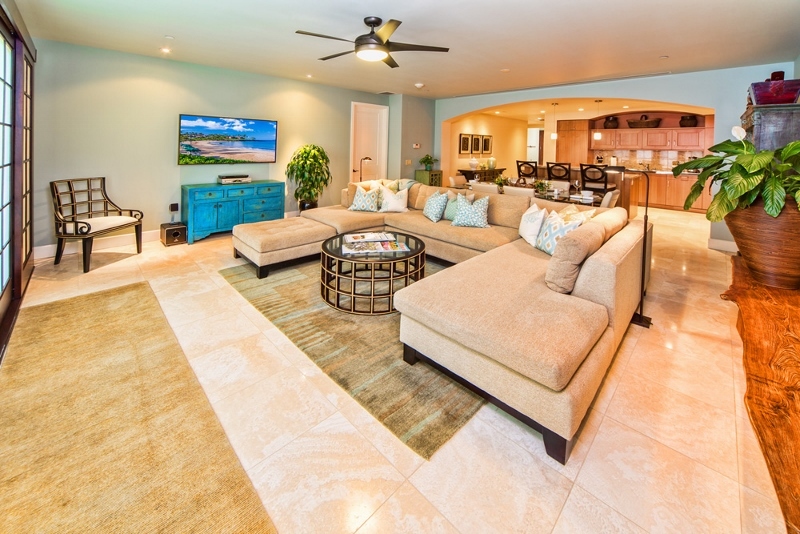 The great room is an oversized communal gathering space with a 60 inch ultra-thin 3D HD Samsung television with NETFLIX and PANDORA service, HD DVR digital cable box, ipod dock with surround sound speaker system, 3D Blu-Ray CD/DVD player. 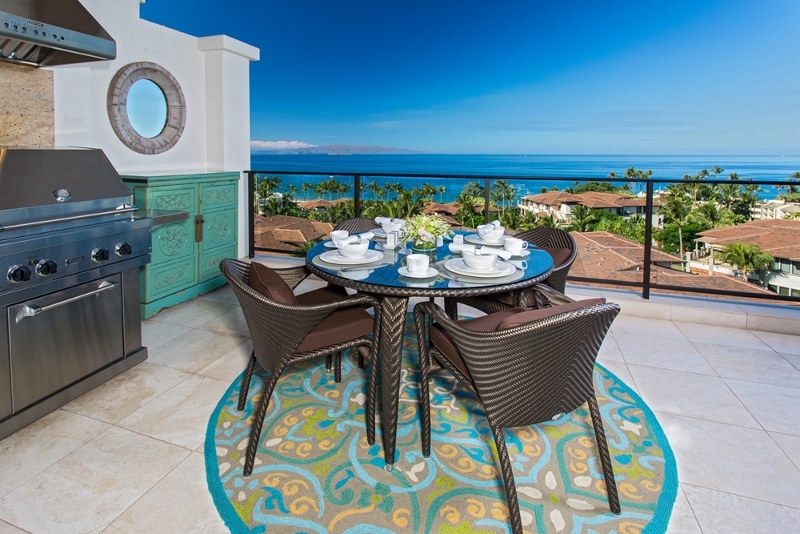 The alfresco panoramic ocean view veranda has a stainless Viking gas grill, and a four person all-weather outdoor dining set. 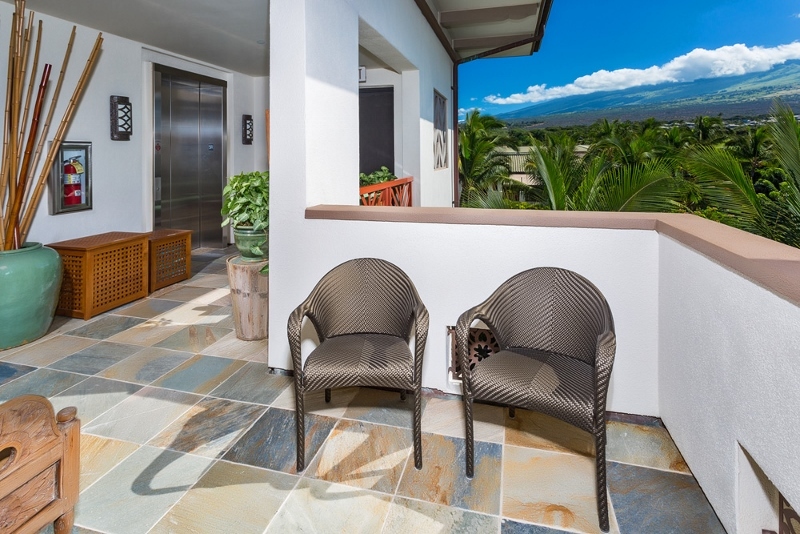 Out on the patio are 2 reclining club chairs with ottomans for soaking up the ocean, sunset and moonset views in the privacy of your own home. 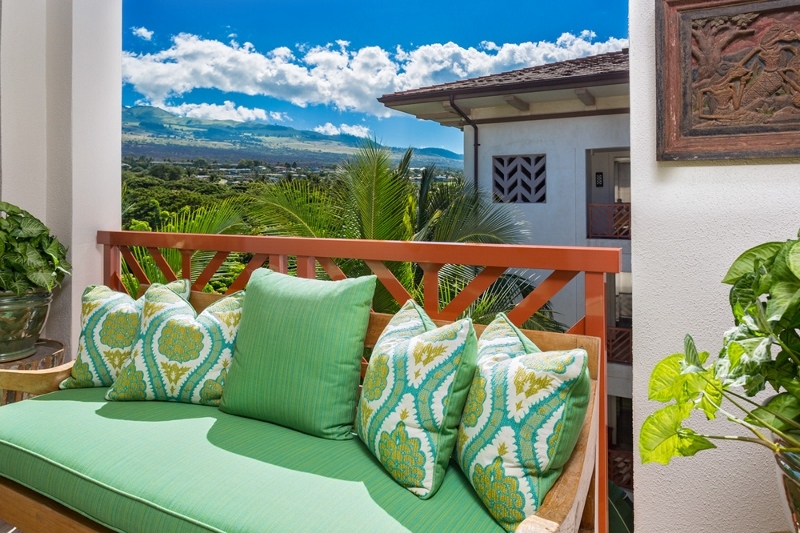 This top floor villa also boasts exceptional stargazing! 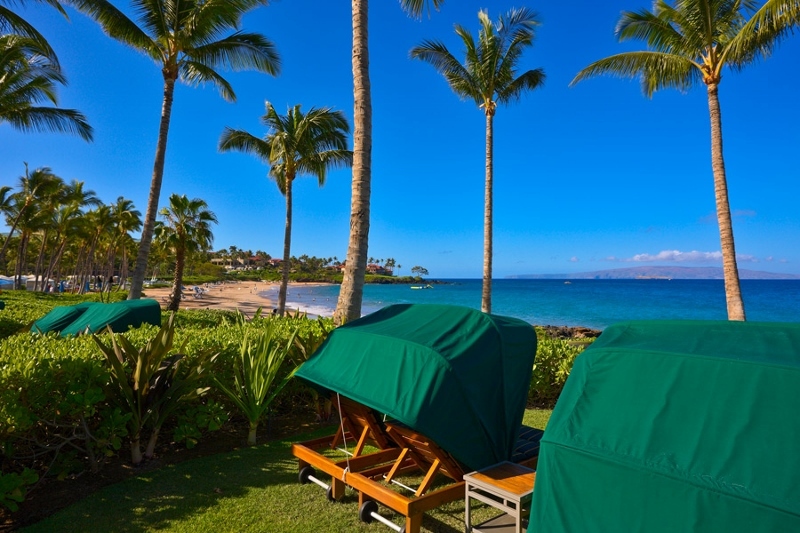 Binoculars are provided so you can easily watch the humpback whales playing in near-shore waters during winter months. 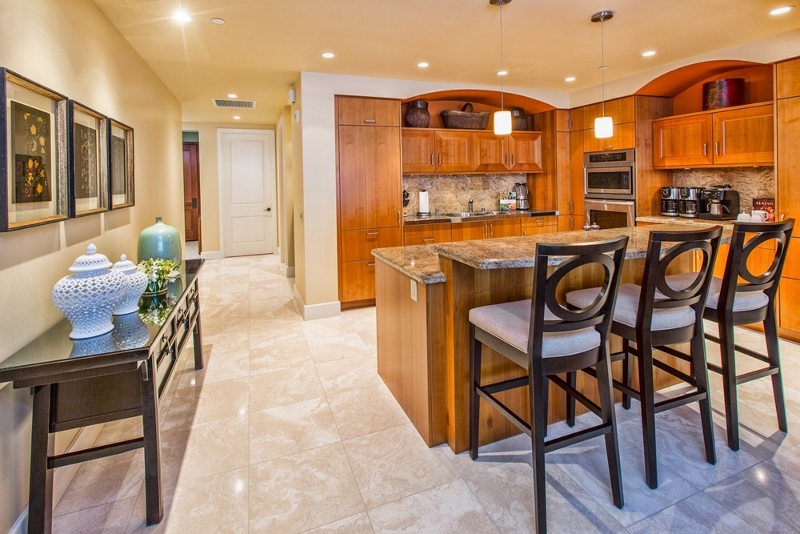 The kitchen is one of our favorite rooms. 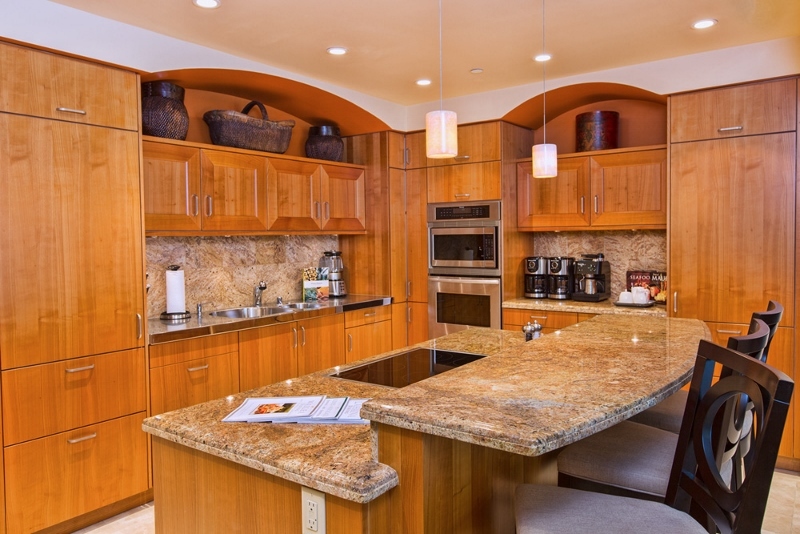 There is an espresso machine and two coffee makers (designated for regular and de-caf coffee! 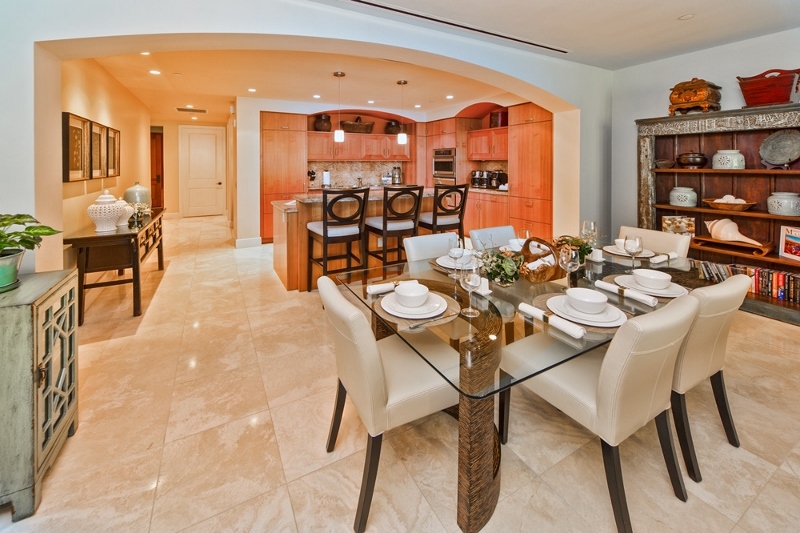 ), wine fridge, separate beverage drawers, double freezer drawers, Sub-Zero fridge, built-in microwave, convection range, Bosch dishwasher, and a ceramic glass Ceran cooktop. 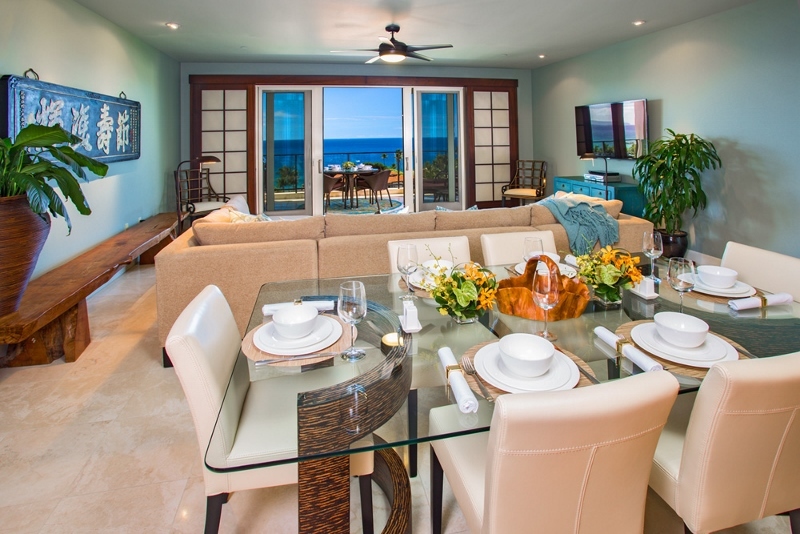 Our villas are loaded with top quality small appliances including a coffee grinder, waffle maker, juicer, toaster oven, toaster, mixer, food processor, hot air popcorn popper, rice cooker, tea kettle, spices/herbs, assorted coffee beans, and other conveniences. 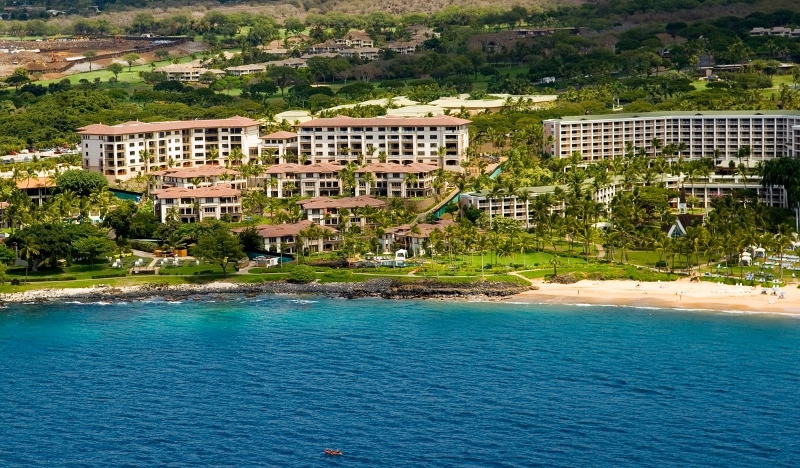 Wailea sandy swimming beach is easily reached by meandering just a short distance past cascading waterfalls, emerald green planted gardens, and orange, yellow, pink and red blooming hibiscus and plumerias. 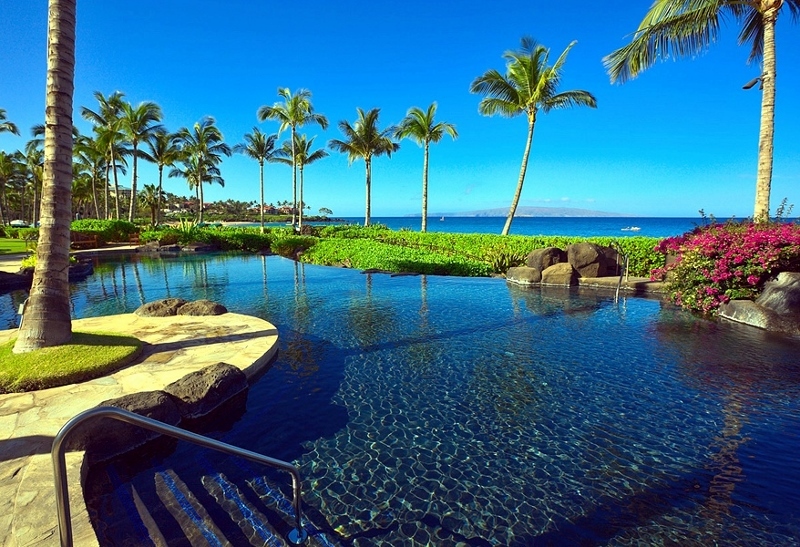 Beach attendants provide towel service pool side, as if luxuriating at a 5 star hotel. 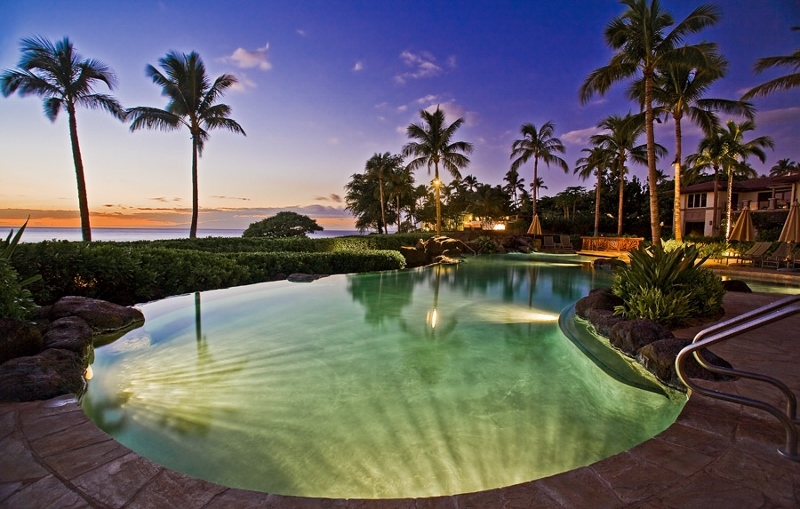 There is also pool-side massage service now offered. 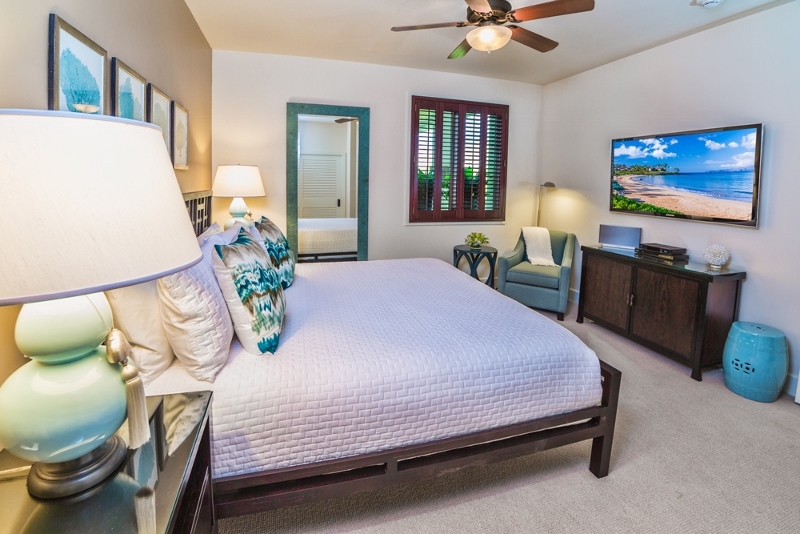 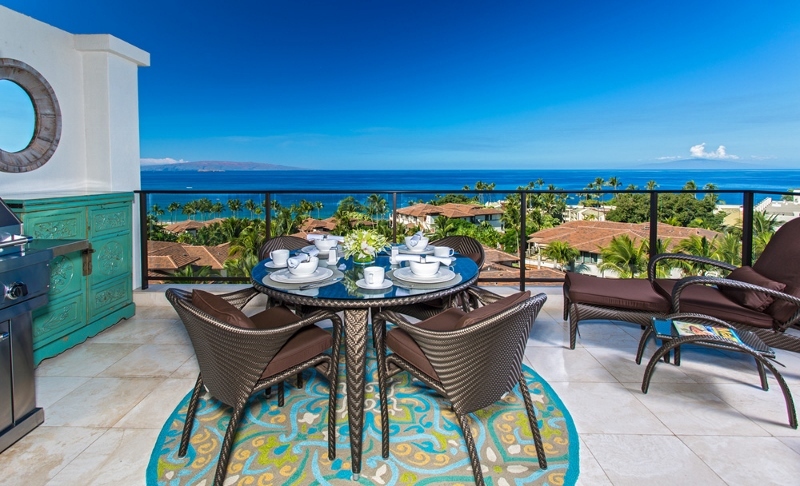 Never before have any private accommodations of this quality been offered before, with such convenient access to Wailea Beach. 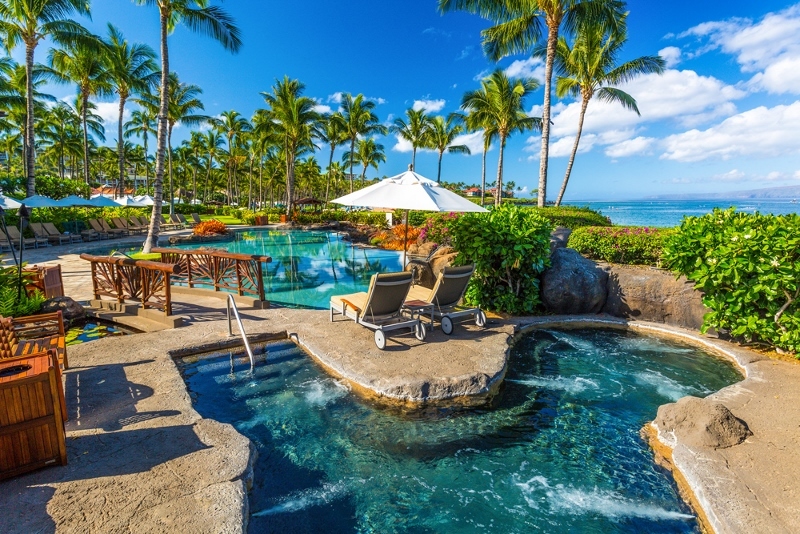 From the adult pool, gaze down the crescent shaped golden sands of Wailea Beach, with its deep blue water, crimson and scarlet sunsets, and powder blue skies punctuated with white cotton candy clouds. 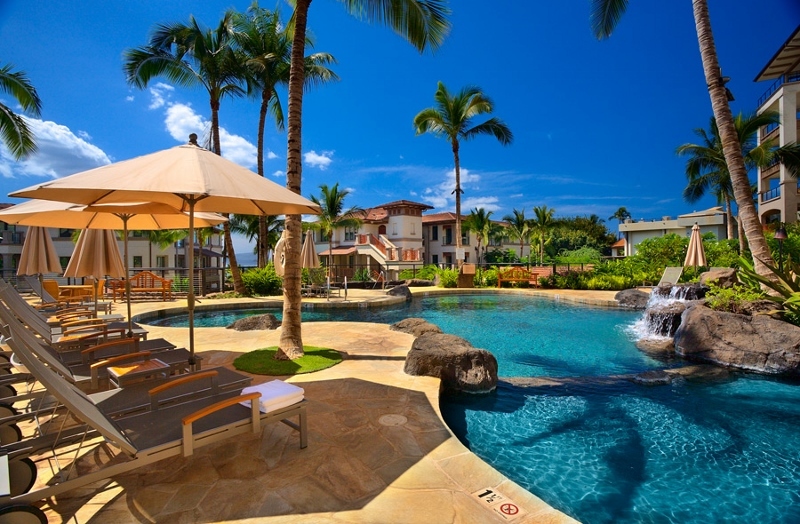 Provided inclusive on a complimentary basis at no additional charge: Discount rates for golf green fees at Wailea and Makena golf courses (with notice), Personal Concierge Service, self-parking, high speed wireless internet access, local phone calls, unlimited USA domestic long distance phone calls, in-villa safe, tropical bath treats, use of the swimming pools, whirlpool spas and gym/fitness center, pool towel service, personalized in-villa greeting orientation.